Ella Paradis partnered with NSFW Agency to cast and contact influencer partners to produce original content featuring their brands range of Valentine's Day gift boxes, which included bedroom favorites from We-Vibe. Influencer were provided product and instructed to produce lifestyle content featuring Ella Paradis packaging and gifts, producing unboxing videos. A shoot was produced at NSFW Studios featuring an unboxing video and content to be shared on promotional sites. 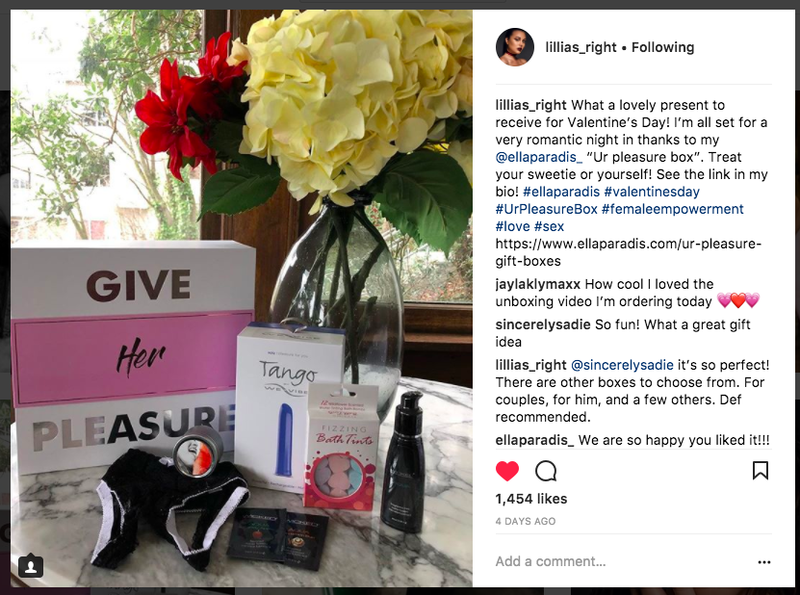 Seven talents were selected for the campaign and Ella Paradis "Ur Pleasure" gift boxes were featured on twelve Instagram profiles reaching over 1.9M fans.